Rachael Fay joined the company as an administrator. Since then she has developed her knowledge as office manager and is now a part of the senior management team. Her role is to ensure that the office and company infrastructure run smoothly, and provides logistical support to Treework’s surveyor and consultant team. 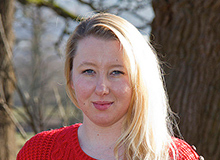 Rachael also plays a vital role in organising the ongoing Treework Environmental Practice seminar series.